On March 14, 2008 Canada's Conservative government tabled a bill that proposed amendments to the Immigration and Refugee Protection Act (IRPA). 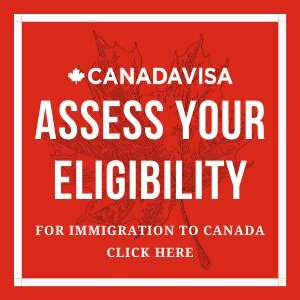 Under the current law, Citizenship and Immigration Canada (CIC) is required to assess every Permanent Resident application received at a visa office, in a particular immigration category, on a "first come, first served" basis. The proposed legislative change provides the Immigration Minister with the authority to regulate the backlog of applicants. It allows CIC to select among the new applications received and choose those that it determines are best suited for Canada's labour market needs. If the bill passes, the Immigration Minister would have to authority to set annual limits on the number of applicants under certain categories of Canadian immigration. 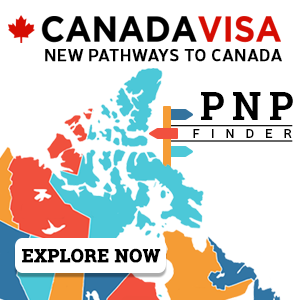 New Canadian immigration applications would be handled at the discretion of the Immigration Minister; some will be processed quickly, others will be held at the visa office for processing at a later date, and others will be returned to the applicant along with government processing fees. The purpose of this amendment to the IRPA is to remedy the growing backlog of Canadian immigration applications that has forced processing times to rise by 20 per cent since 2004. Should the bill pass, it would be good news to applicants who are currently in the queue waiting for their visas to be processed. Budget 2008's $22 million over the next two years to implement this modernization of the immigration system, is aimed at reducing wait times and improving service. By reducing the backlog, Canada is working towards the goal of a "just-in-time" immigration system to expedite skilled immigrant applications and transition newcomers to the Canadian workforce quickly. Nevertheless, a limit on the number of new immigration applications is cause for concern given Canada's declining birthrate, aging population, and labour shortages. Canada's other political parties in the House of Commons are critical of the proposal.The Conservative party heads a minority government and will need the support of one of Canada's other political parties to pass this bill and put the amendments to the IRPA into force.The Conservatives have included the bill in the 2008 federal budget, making it a confidence matter. If the House of Commons votes against it, the current government would fall, triggering an election. The Immigration Minister would not say whether she intends to use the new power to limit new immigration applications, stating that the budget bill will have to pass before any announcements will be made. At present, Canadian Immigration Visa Offices around the world continue to accept new immigration applications in all categories. CIC reiterates that Canada remains open to immigration and that the proposed amendments should not deter good candidates from applying at this time. The current passmark of 67 points, under the Federal Skilled Worker category, would not be affected by the proposed amendments. The proposed legislation, if passed in its present form, will apply to all applications received at a visa office on or after February 27, 2008.